Privately Cardiff believe there are a series of questions that still need answering, most notably about the ownership of the Piper Malibu aircraft which crashed North of Guernsey on January 21. 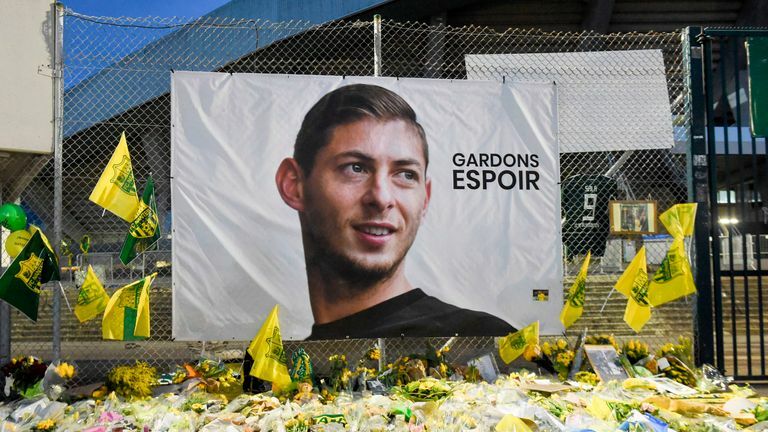 Authorities said yesterday they are trying to recover the body spotted in the seabed wreckage of the plane that was carrying Argentine player and his pilot. Shipwreck hunter David Mearns, who led the private search, said it was a "possibility" that the bodies of Sala and Ibbotson would be found with the remains of the aircraft. BBC Wales has learned the transfer fee is due to be paid in instalments over three years. Per Sky Sports News, the Premier League club fell they should wait until the recovery operation in the Channel is concluded and for the Air Accidents Investigation Branch (AAIB) and the police to conclude their investigations before they proceed with any payment. The wreckage was discovered on Sunday. "Strong tidal conditions mean we can only use the remotely operated vehicle (ROV) for limited periods each day and this will mean that progress is slow".